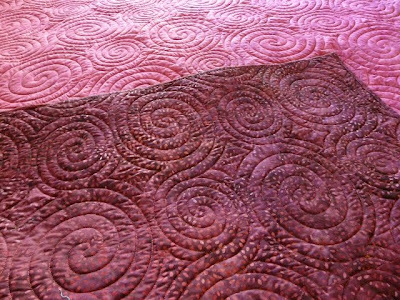 The Swirls15 templates has 2 rows of 3 sizes of spirals with fill pattern. 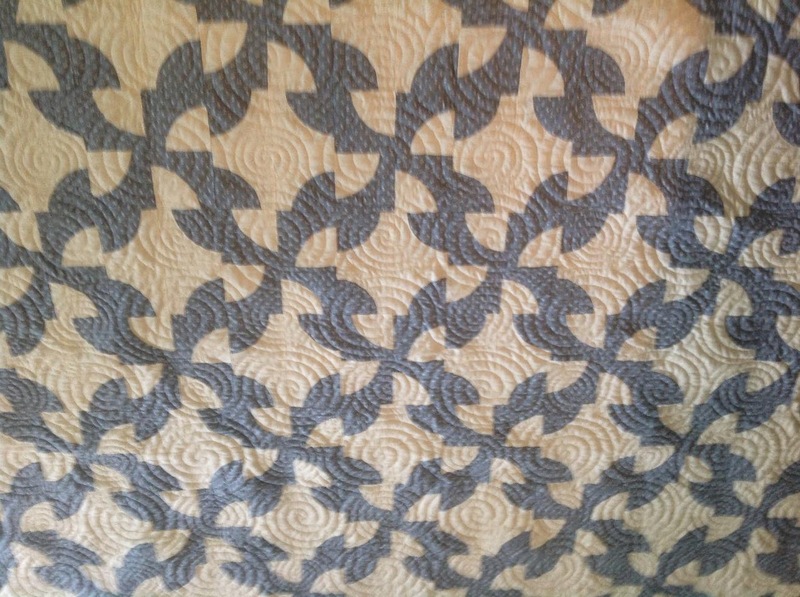 It is continuous stitching from one end to the other. It comes in King and Queen+1/2 size. Fast! Fast! Fast! As fast as you can sew. 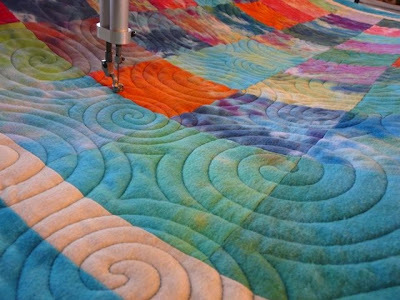 The Swirls12 has 2 rows of spirals with fill to fit into 12 inches of sewing height. Template section is 40" x 15". 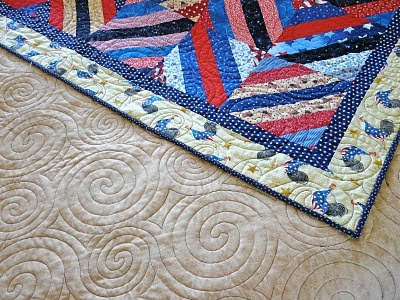 "I've really been enjoying your Circle Lord boards, I initially wanted only the Baptist Fan but you talked me into getting the Swirls and I can't stop using the Swirls, just quilted 3 quilts in a row using your swirls and still love them, go to them all the time. 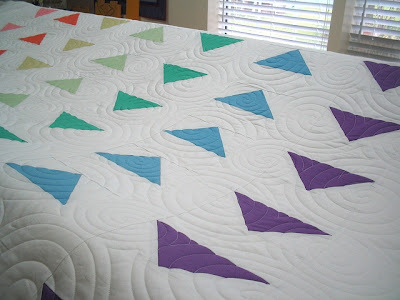 I really think you can use your Swirls on any style quilt. Thank you for the kind words. I was very pleased how it all came out. 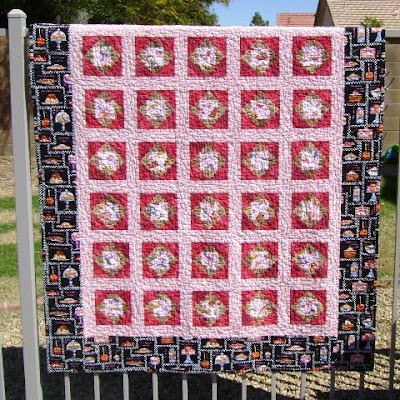 It is my own quilt (I currently don’t quilt for others), which I am putting in a fund raising auction for our local rod and gun club. Yes you can post my pictures if you like. You can also use what you may from this email. 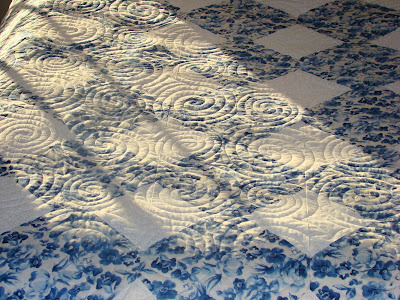 I use swirls a lot, it is my go to for a lot of quilts, this picture just shows the quilting better as my friend took the picture, and there was great lighting. 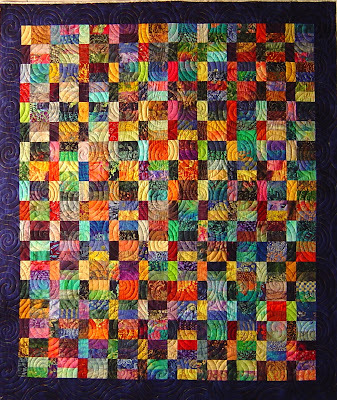 It does not take long to figure out, I load the quilt either lengthwise (if I want the swirls that way) or sideways. 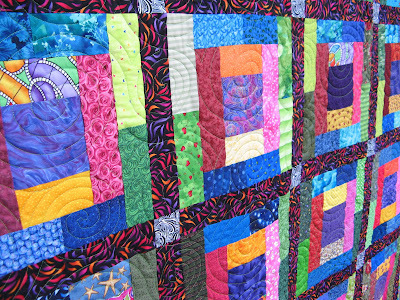 (Head of the quilt to the right, or left depending on the effect I want) This one I did lengthwise, so that when you stood at the front of the machine (Liberty), you would look at the quilt the correct way. The only problem I had was to adjust the board again once the bulk on my take-up roller was hitting the back of the machine throat, but once adjusted no problem. 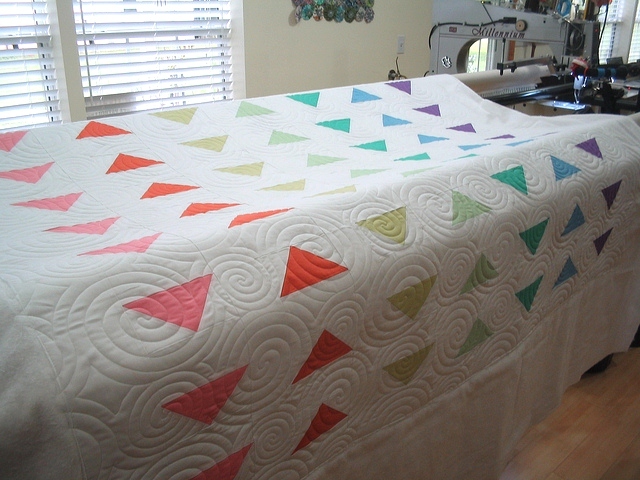 For this quilt I used Wonder clear invisible thread on the top, and Essential cotton thread on the back. ( from Connecting Threads). 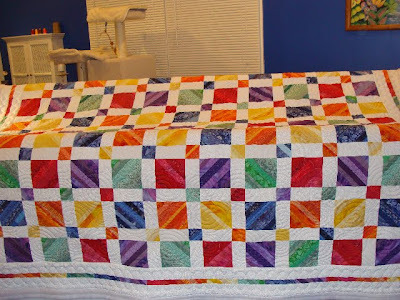 The fabric is from Rushin Tailor Quilt shop in Alaska, (I combinee 2 kits with added fabric for my vision) and warm and natural is the batting. 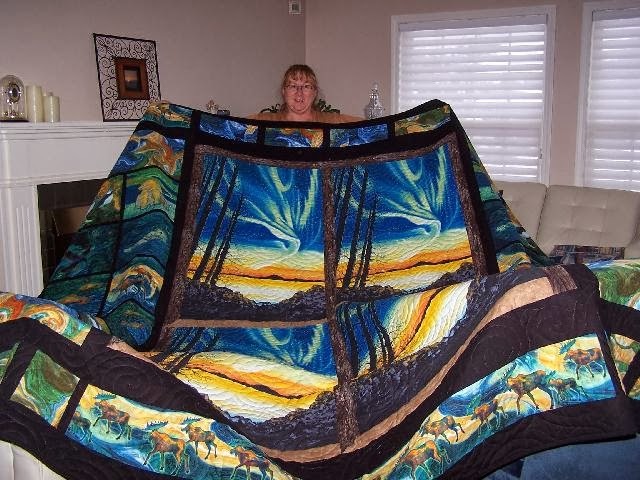 Finished size was 108” x 114”. It goes to auction this weekend, so will see what it brings. I absolutely love the movement that the swirls board gives to a quilt. Once again Michael thanks, and thank you for your wonderful product. 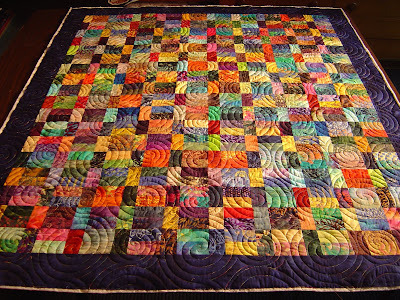 "I love my basic CL but I have to admit that the one MOST POPULAR template is the CL Swirls. 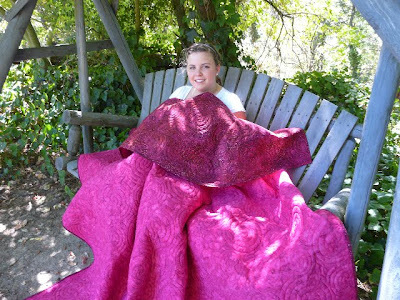 In the last week, or so, I have quilted 7 quilts with that one, and just received 2 more in the mail to do. 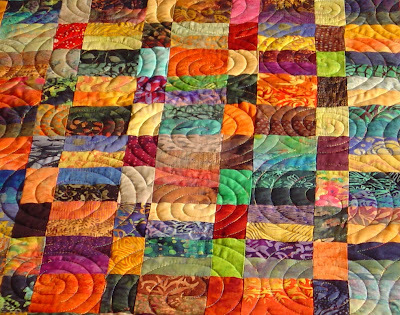 It's really easy, and looks amazing on all quilts. " This was pieced by Cynthia and Circle Lord Swirls Board was a purrrfect choice for this quilt! 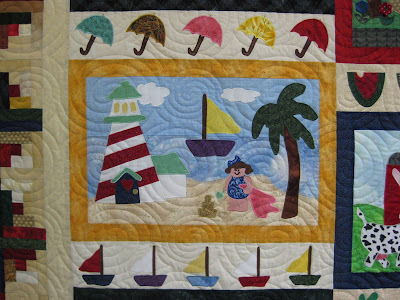 A great quilt for our island life here on Amelia Island!!! 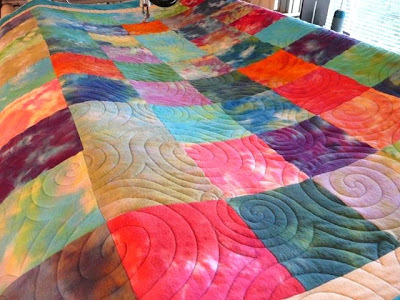 I just completed this quilt with the Circle Lord Swirls boards and the experience was a bit unique. 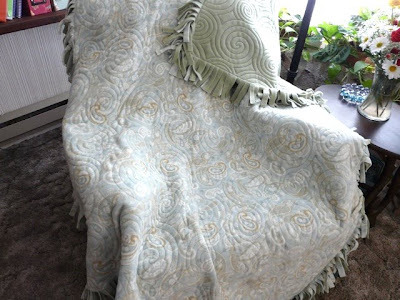 My customer brought me the quilt and a fluffy polar fleece blanket for the back. We discussed this and I suggested Hobbs Polydown batting after considering a lightweight cotton, the Hobbs or nothing at all. 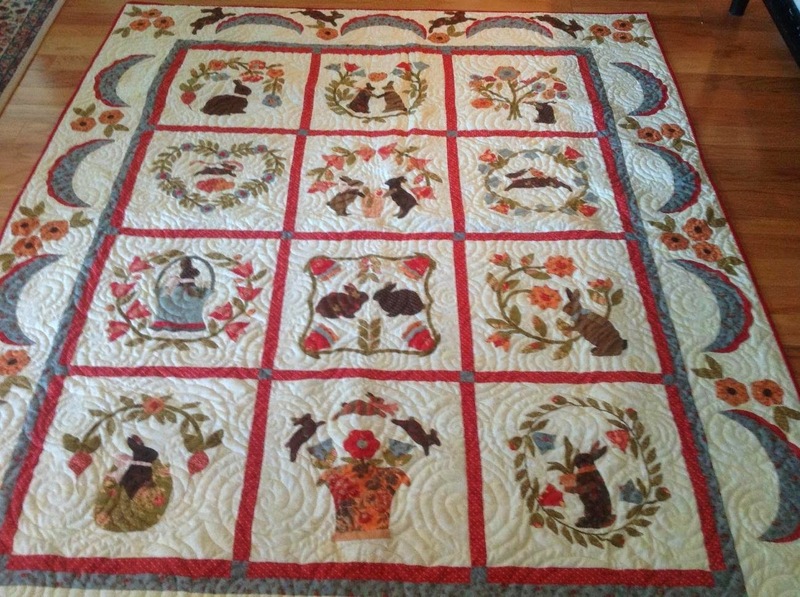 For thread, I used Bottom Line thread in the bobbin and King Tut on top, and I raised my hopping foot. 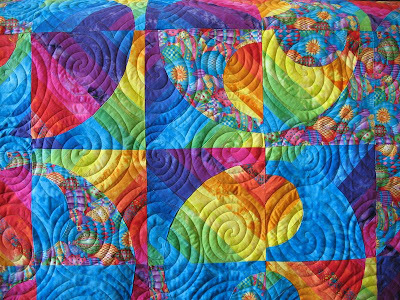 "Love this swirls template! 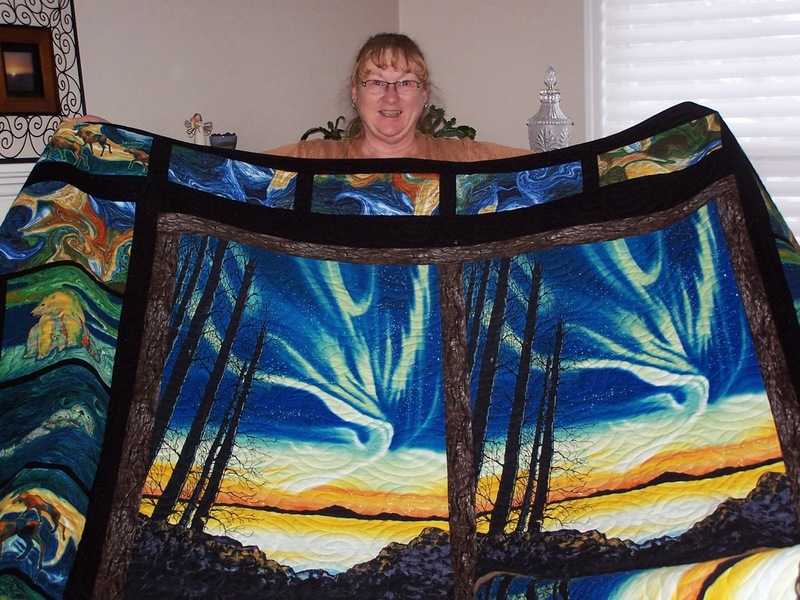 Another lovely quilt and satisfied customer! 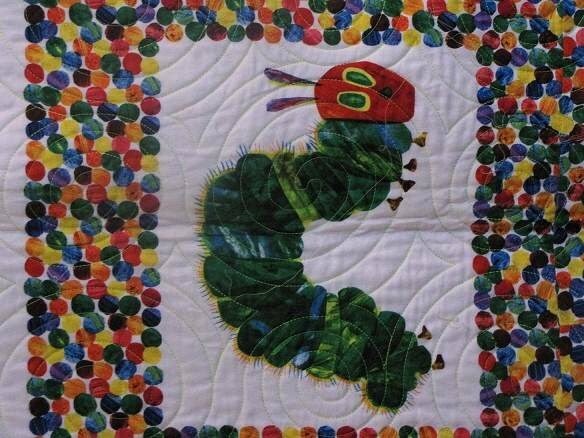 I used the CL Swirls Big Boards on this one of my daughters quilts. 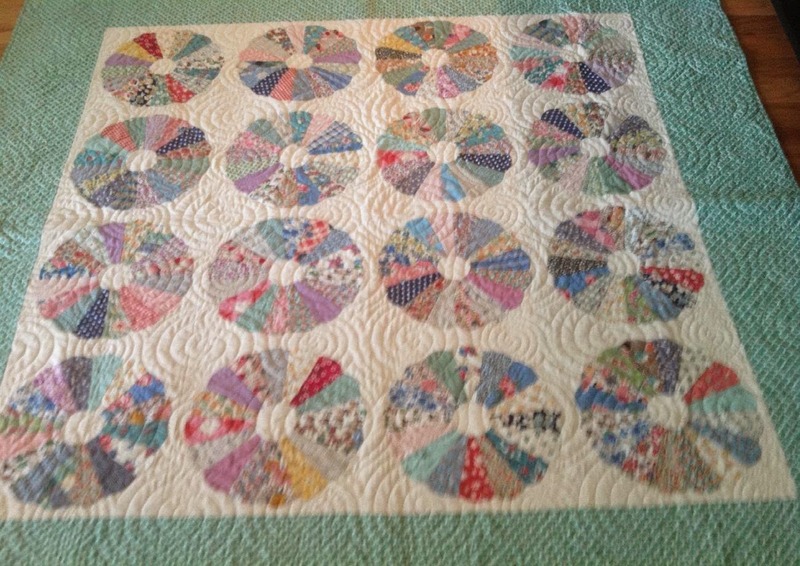 This is the first quilt I've completed using my new Circle Lord. I used the "Swirls" template boards . Like every one has said at one time or another---It easy and fun! 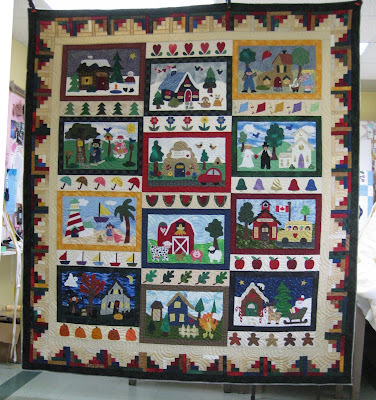 Donation String Quilt top made by group of quilters in Fair Oaks, CA for the Quilts of Valor organization. This is one I did from scratch for a customer's daughter. I added the sashing and stabilized the T-shirts. Thanks to directions from my friend on the Forum, Sylvia; it turned out great! The same lady gave me 2 more to do!! Yippee! 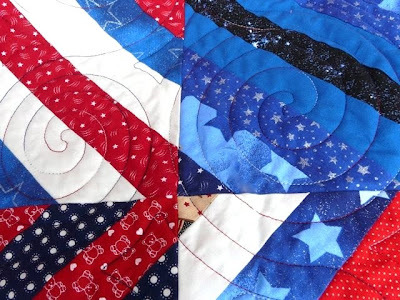 T-shirt quilts are not my favorite thing to do, but bring a lot of $$ and the Circle Lord makes it go soooo fast! 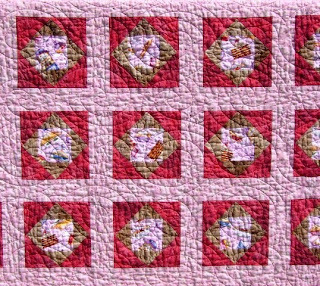 Posting for Nannie Diggs:Pattern: Cheese and Crackers. 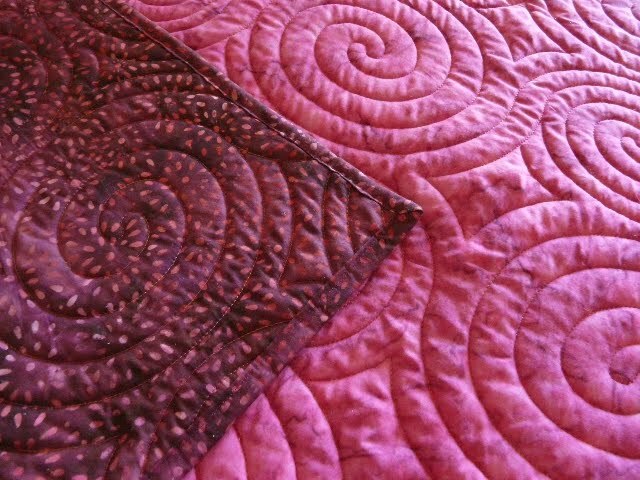 I quilted this twin-size with the CL Swirlz. The pattern stood out and really added to the quilt's appeal. Hand Dyed Flannel quilt top. 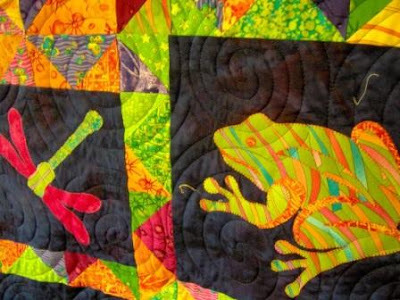 Thirty-three members of the La Crosse Area Quilt Guild made blocks for this quilt. 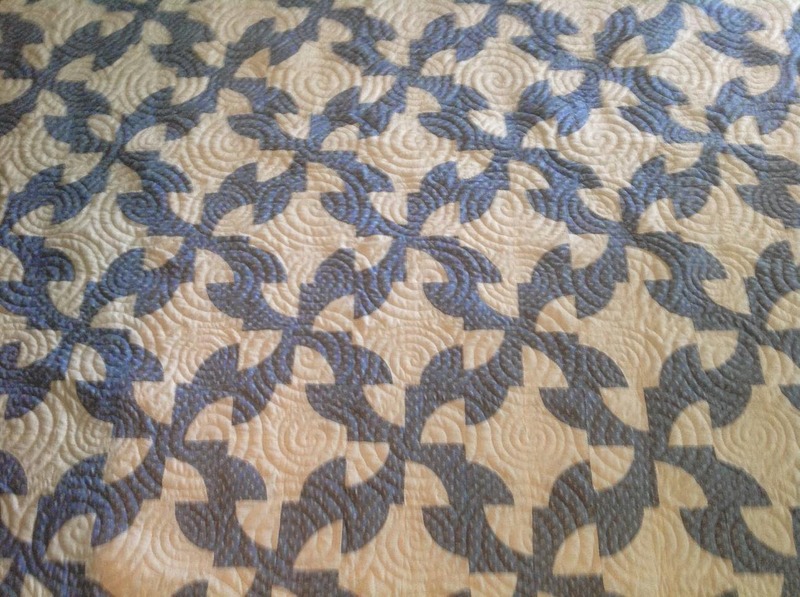 I pieced the quilt and quilted it using the Swirls template. It's named Tropical Turnover, and it measures 92" by 92" inches. 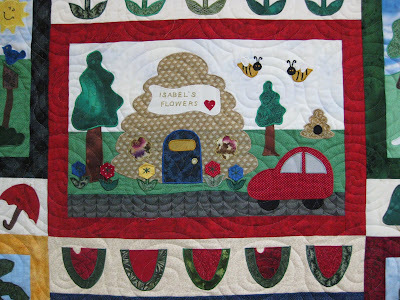 The quilt will be raffled off in August. 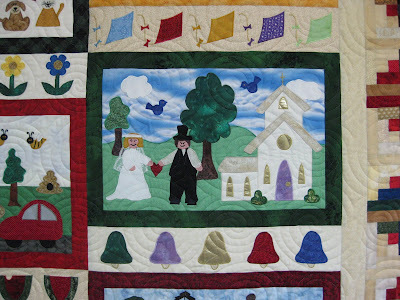 Each member who worked on the quilt, or paid their dues on time will have a chance to win. 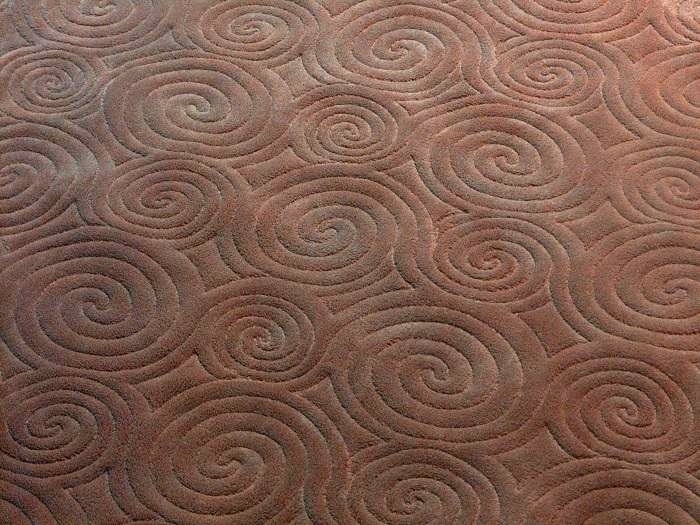 Here's a small throw for a wheel chair, using the Swirlz. 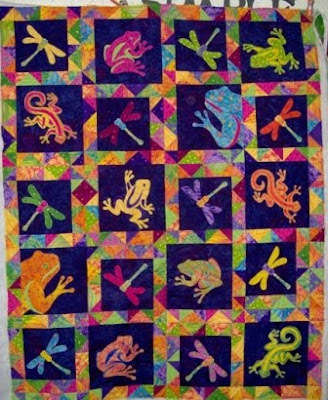 The name of the quilt is Frogs and Bugs. 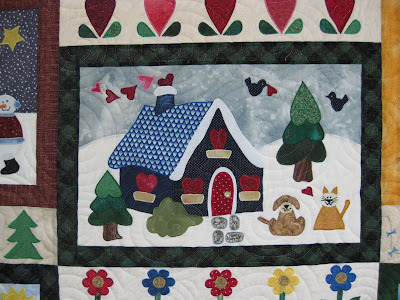 Pieced by Barbara B; Quilted by Leslie McSorley The Crafty Unicorn Quilting. 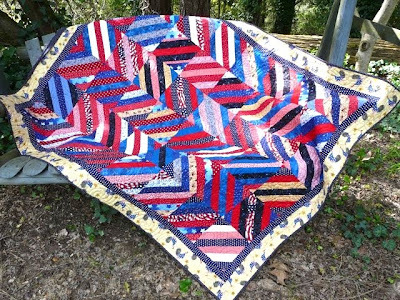 Pattern is unknown and the size is 48" X 60". I used the Giant Swirls template. I love the way the Swirls look like ripples in the water of the pond. 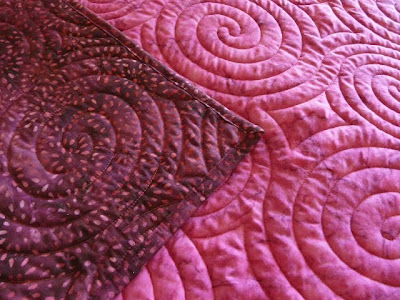 I recently did this whole cloth Batik quilt for our granddaughter. She is off to her first year of college and wanted a durable yet pretty quilt for her dorm room bed. She picked this berry colored Batik which reverses to a burgandy shade of Batik. It will get a lot of wear & tear as she and her college friends will be studying, sitting and eating on the bed much of the time I'm sure! Here are some pictures. 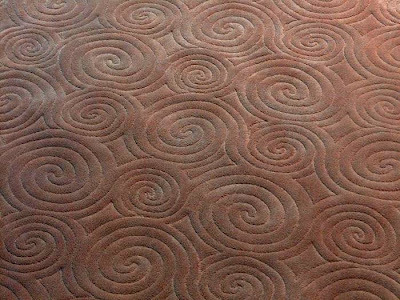 I used one of my favorite Circle Lord long boards, "Swirls". Warm n' White batting. 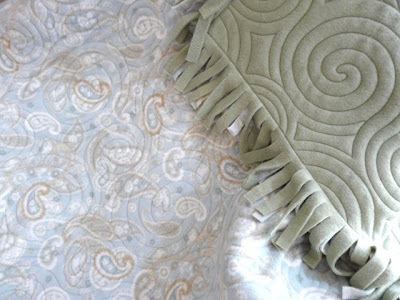 Thank you for making such a great product that I enjoy using sew-much! 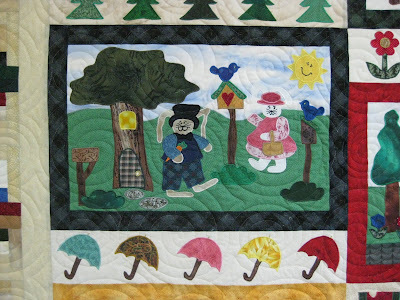 Hi, Here are pictures of a quilt, quilted by Carol Cunningham, APQS dealer from Ontario, Canada.